Which Yoga Retreat Location Is For You? Helping you find the perfect yoga retreat location with The Yoga Wellness Company. The only thing worse than no choice at all, is having too many choices. Recently, when stopping for a Sunday brunch in Central London, I found myself faced with an 8-page menu. As a vegetarian, ordering is usually pretty simple for me; there’s generally a small handful of options marked with a little green ‘V’ and I only have to make a choice between those three of four options. So when I suddenly became confronted with endless vegetarian options I ended up very confused about what to order… Which dish would be best? Would I prefer option ‘A’ over ‘B’or even ‘D’ over ‘F’?! As far as I was concerned, this was too much hassle for a Sunday morning. Last week I had a client email me regarding our retreats (at The Yoga Wellness Company), saying she was looking online at our retreat locations and simply didn’t know which one to choose. I could absolutely relate. So we sent a few emails back and forth trying to ascertain what she wanted from her retreat so that we could find a location that best suited her preferences. Subsequently, I decided it was time I put together a write-up of our three remaining locations for 2019 – Sicily, Corfu & Ronda. Highlighting the local areas, travel times as well as the villas themselves. One of our favourite yoga retreat locations for 2019 is Viagrande in Sicily. This is not the first time we’ve had Sicily (or Italy) on our retreat portfolio but this year we decided we wanted a location that was right in the centre of what this beautiful island has to offer. We know that while you may love yoga, part of the reason for coming on a yoga retreat is to explore a new place – and that means being in a location where you can plan your own adventures (and still be back for your evening restorative yoga practice!) Situated in a charming town on the Southern Slopes of Mount Etna, our retreat villa really couldn’t be any closer to the heart of Sicily; there are some great restaurants, fun bars and where you will also find fresh fruit and vegetable stalls selling delicious local products throughout the town. A little further away – but still within an hour ride – you can visit some of Sicily’s most exquisite examples of Baroque architecture in Catania, Syracuse or Taormina, the latter of which is a combination of gorgeous beaches, crystalline waters – with a relaxed atmosphere and spectacular ruins of a Greek-Roman amphitheatre. If you’re fancying something more adventurous then you can grab your swimming costume or hiking boots and head to the Alcantara Gorges where the river Alcantara runs through a spectacular series of basalt-walled gorges. Alternatively, head to the enchanting Casa delle Farfalle – south Italy’s only butterfly house – which contains hundreds of varieties of butterflies flying around in a large, tropical greenhouse. 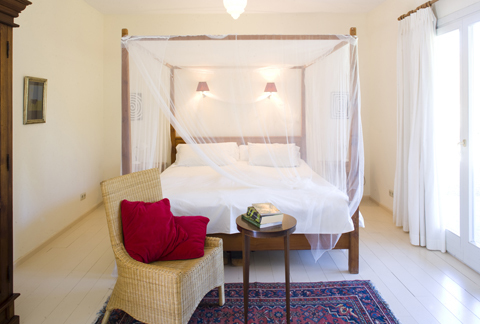 The villa itself is only a forty-five-minute drive from Catania airport. It has beautiful, extensive grounds adorned with stone statues, pergolas and hidden nooks and crannies. The inside is typically Sicilian, with darker woods, terracotta flooring and some venetian-influenced furniture. This retreat would suit someone who is looking for a culturally-authentic trip; with ample opportunity to explore the localities and enjoy a true-Sicilian encounter. 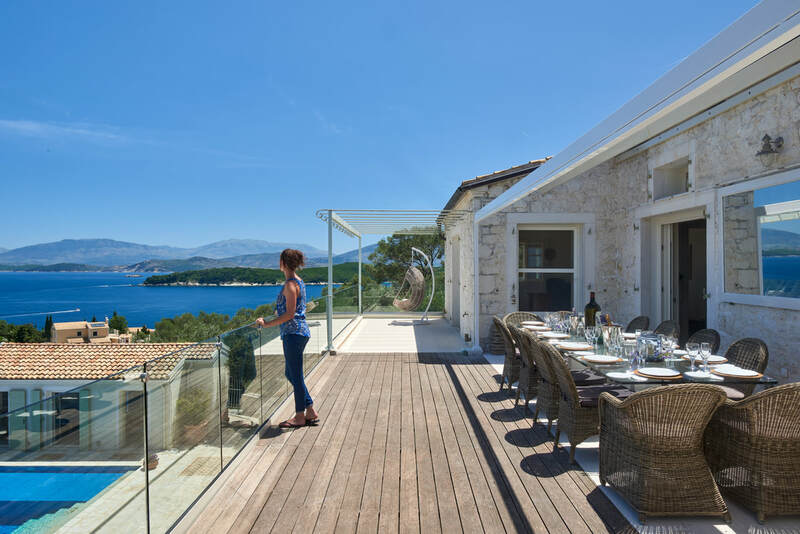 Situated in Kassiopi, our Corfu Villa Retreat is a perfect blend of feeling remote and peaceful – overlooking the beautiful Adriatic Sea – whilst also being a short walk from the local shops, bars & cafes. A 40-minute boat trip around the stunning coast will bring you to Corfu Town – known for its pastel-coloured Venetian architecture and quaint cobbled streets. The journey to the villa is approximately an hour drive from Corfu airport with a very picturesque tour of the coastline. Upon arriving, guests are immediately struck by the incredible views from the villa, with the AdriaticSea offering the perfect backdrop for morning and evening yoga practices, whilst (for those who can brave the earlier start), getting up at 7am to watch the morning sunrise from the balcony is well worth a few yawns later on in the day! The inside of the villa is light and airy. All of the rooms are very spacious while the en-suites feel equally as decadent. This yoga retreat would suit someone looking for an opportunity to truly relax and just be – whilst still having the opportunity to walk into the local town. There are plenty of breakout areas to have time to yourself, however, the general layout of this villa is very communal and guests on this retreat usually end up becoming very good friends. Our most peaceful yoga villa, this yoga retreat is for those truly looking to escape the manic every-day. 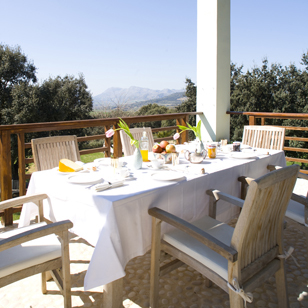 Surrounded by Andalusian Countryside (28 acres to be exact!) On this sleepy Spanish retreat we can promise no bustling traffic, loud cell-phone pings or noisy roadworks! With so much unspoilt countryside, there’s ample opportunity to take long and peaceful walks or simply relax by the 16 metre swimming pool. However, if you do fancy exploring the local culture, Ronda – regarded as one of Andalucía’s most historic and beautiful towns – is only a 15-minute ride away. 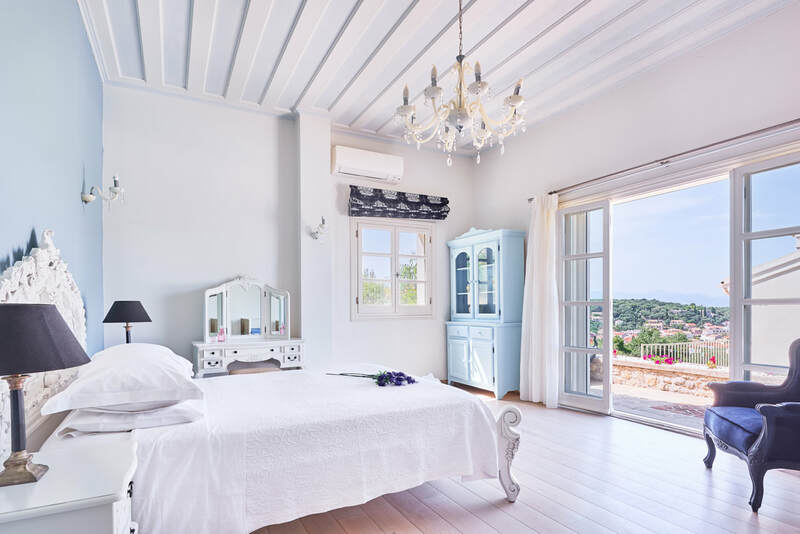 The villa itself is contemporary and bright, whilst still emulating some typical Spanish charm – think light woods, white walls with an eclectic mix of furniture – and every room has its only balcony for those wanting to relax in the sun without socialising. This villa also benefits from an indoor yoga studio so if you fancy some time alone to further your practice or you just need some space to meditate, then this is the perfect space to do so without being disturbed. This yoga retreat is best suited for those who want to shut off from everyday life and completely relax and rejuvenate – experiencing the typical slow-paced lifestyle of Southern Spain, without needing to go and explore nearby cities. For more info on these locations visit our retreats section and select the place you’re interested in viewing. Want to know more? Get in touch today!